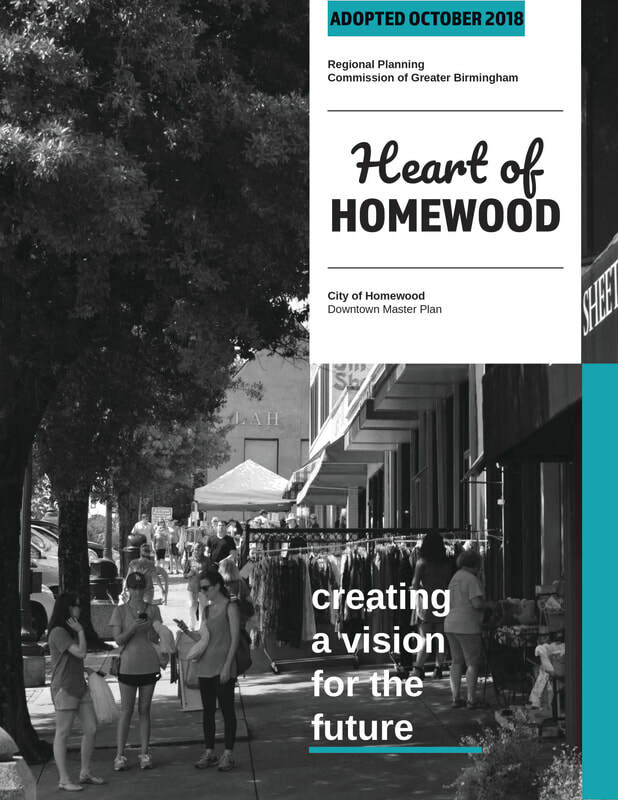 WELCOME TO THE HEART OF HOMEWOOD PLAN! View the first draft of the Downtown Zoning Code by clicking on the link below. Please note: ​You will be able to submit comments on the​ draft code via the comment form below until May 27. Refresh this webpage if you wish to submit multiple comments. 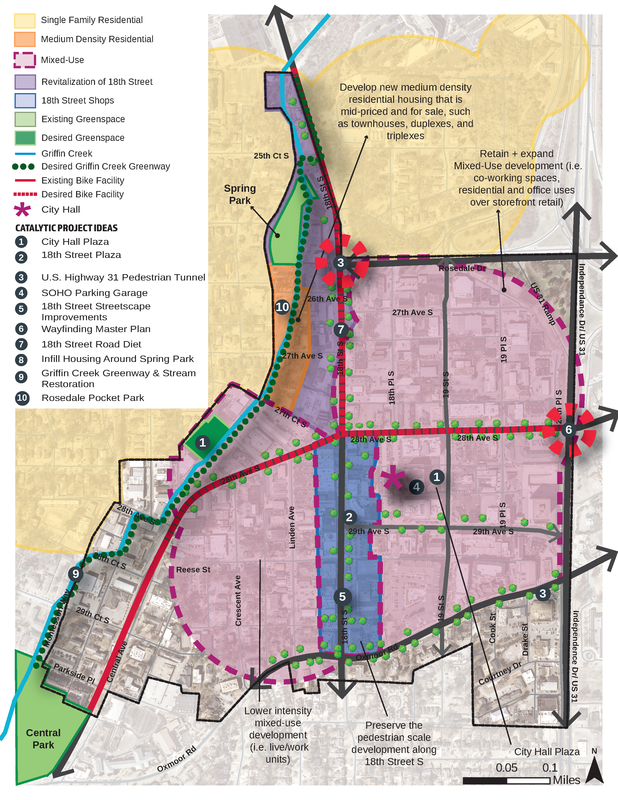 January 2019 - The process has begun to update the zoning and signage code for the downtown area, in accordance with the ​Downtown Homewood Master Plan recommendations. View the recommendations report below, and related Homewood Star articles. January 10, 2019 Homewood star article - "Density, building height dominate discussion of downtown zoning"
The map below is conceptual and combines the most heard issues and ideas from our visioning survey, kick-off meeting, and online Wikimap. This map representative of some of the key ideas and themes found in the plan.